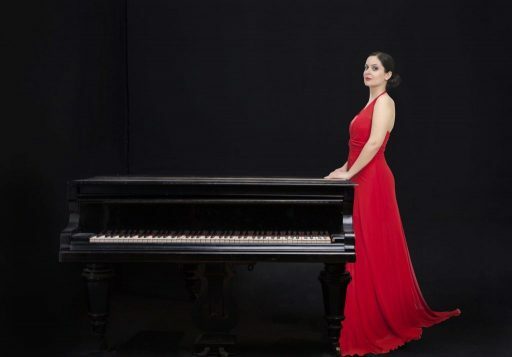 Zeynep Bingol was born in Istanbul where she started playing the piano at the age of four. In 2002 she began studying music at the Istanbul Anatolian Fine Arts High School. During this time Zeynep gave many recitals and chamber music concerts. She then continued her studies in France attending masterclasses given by Professor Huseyin Sermet in the “Academie d’ete des Moments Musicaux” in Paris and “Conservatoire National de Region Nice” in the city of Nice. She graduated in 2006 with honours and was ranked first in the school. In 2007 she was accepted to study piano at Zurich University of Arts under the guidance of Professor Karl-Andreas Kolly and Ursina Caflisch (organ) taking that as her second instrument. In 2010 Zeynep graduated and then went on to postgraduate studies in Music and Piano Pedagogy again under the guidance of Professor Karl-Andreas Kolly. Afterwards she continued to study at the University for a second Master’s Degree in Music Performance with a Specialisation in Chamber Music, this time under the guidance of Professor Friedemann Rieger and finished with honours in 2015. During her time in Switzerland, she gave numerous solo recitals and chamber music performances in many of Switzerland’s renowned concert halls, such as the Hottinger Concert Hall, Tonahalle and the Winterthur Musikkollegium. In 2010 to 2014, she founded a piano, cello and clarinet trio called Diz-Onans who gave many concerts all over Switzerland and in 2014 they went on tour to Slovenia. Zeynep has played the organ at many occasions, services in churches and accompanied for choirs regularly over a 7-year period, and she has worked as a piano accompanist in the Rudolf Steiner School from 2011 to 2013 and latterly as a piano teacher in the Music School Knonaueramt from 2012 to 2015. After living in Switzerland for 9 years she moved to the UK. She continues her piano career as a piano teacher, soloist and a chamber musician and is very much looking forward to working with Coro Nuovo.